First-Time Drone Use in Major Chilean Emergency Operation Leads to Higher Demand of UAS Programs. Firefighters working diligently on the scene attributed the rapid spreading of the fire to what is known as the 30-30-30 factor. This is when temperatures are above 30°C, humidity is around 30%, and winds are at 30 km/h. Climate conditions only worsened when a blistering temperature of 44.9°C was recorded on Jan 26, 2017. Although several fire departments collaborated to tackle the spread, the flames continued to advance. 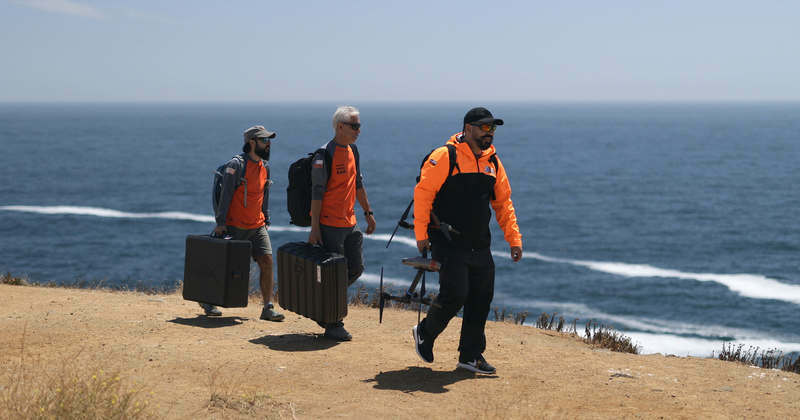 DroneSAR Chile, the first NGO consisting of Chilean volunteer drone operators, would offer their emergency response services. What the fire department needed was support from the air, which would be provided through thermal imaging, live video feeds, and telemetry. Mauricio Tapia, Director of DroneSAR Chile, would lead the charge, offering DJI equipment like the Phantom and Inspire drones. DroneSAR Chile won the AUVSI Xcellence Humanitarian Award for their work. Raging forest fires swept through 10 regions, putting people’s lives and their property at severe risk. When the fire teams finally responded, the damage had already reached massive proportions and was spreading dangerously to new territory. 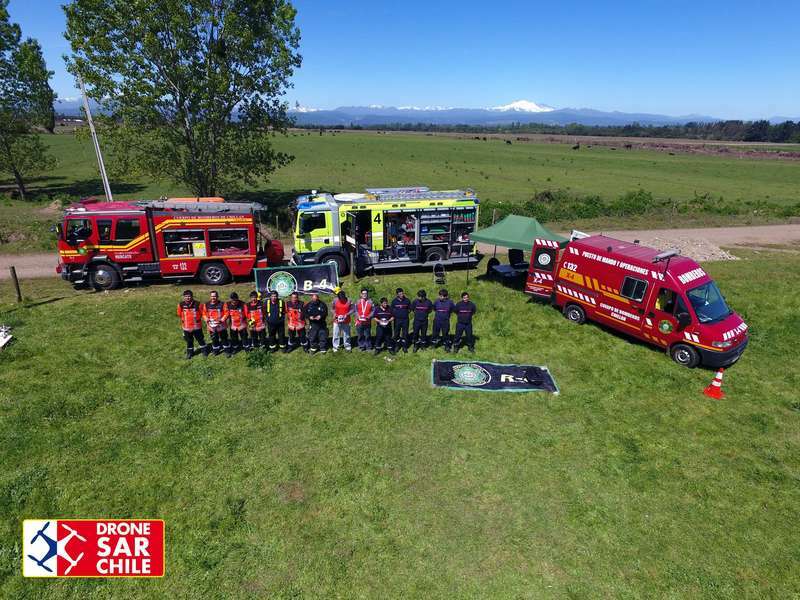 DroneSAR Chile partnered with the forestry and fire brigades that were in control, and together they were able to deploy more than 25 operators, mostly with DJI Phantom 3 and 4 drones. 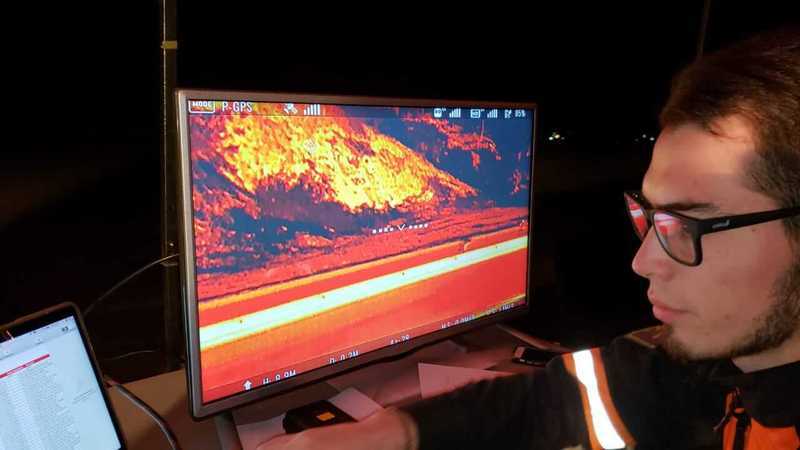 For the first time during a major emergency response mission, fire and brigade commanders relied on thermal imaging technology to continue operations at night. Fire departments in different regions were able to collect valuable information, which enabled them to make safer decisions and reduce any risk to themselves and their team. It also allowed them to prioritize hotspots, which minimized the damage to civilians and the ecosystem. DroneSAR Chile volunteers settled in Constitución, where they conducted photogrammetric surveys with the Phantom 4 to obtain critical information about the region. Drone usage provided additional resources to fire crews, something that was becoming scarce at the time. This realization ushered in a new appreciation and understanding of UAS technology. Drone usage provided emergency response teams with incredible new capabilities. For the first time, firefighters were able to analyze fires in various regions forensically. This helped them to determine how fires were started, where they were spreading, and what was the best way to contain them. After this incident, the general perception of drones changed for the better, as more people began to realize how beneficial UAS technology is during emergencies. Consequently, DroneSAR Chile expanded significantly, and their expertise was often called upon by various public safety agencies. 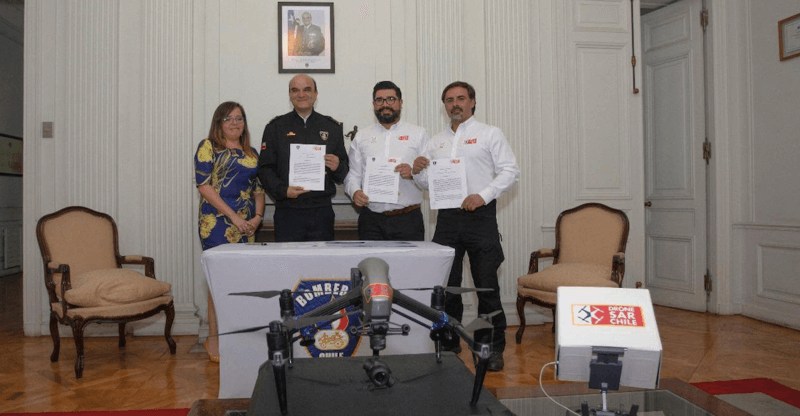 In conjunction with the Chilean government, these same fire departments signed an official agreement with DroneSAR Chile, which would allow them to use their services and drone equipment during SAR and fire suppression missions. 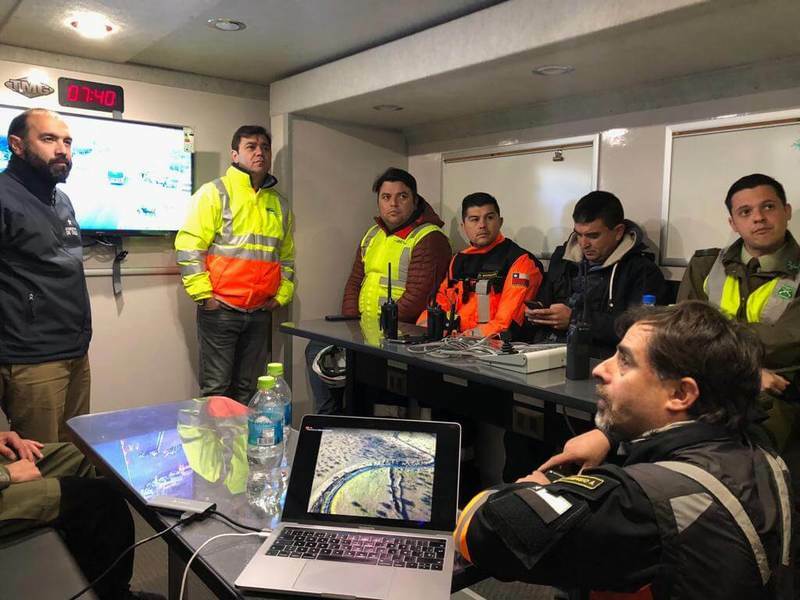 DroneSAR Chile has also provided hands-on training to other SAR teams, like LATAM, helping them establish their own UAS programs. It has become clear across Latin America that drone technology offers the public safety sector greater flexibility in the field. This includes providing thermal imaging, gaining access to compact areas, and navigating easily across uneven terrain. • It is important to understand the capabilities of search and rescue teams and establish inter-agency cooperation, which will eventually provide greater knowledge and skills in UAS-related areas such as piloting, thermal image analysis, and planning operations. • Trying to start a UAS program with limited resources is a great challenge. However, obtaining moderately-priced equipment and gradually enhancing your deployment capacity is an excellent way of building a program from scratch. It is also useful to seek out investment or donation opportunities from larger, more established, UAS public safety programs. • Drones are part of an emergency response system and should be complemented with image mapping software, 3D modeling, and artificial intelligence. More importantly, it is vital to have well-trained drone operators who are prepared to respond to emergencies at all times. DroneSAR Chile’s gradual expansion is an excellent example of how UAS programs are reshaping the public safety sector. To learn more about these partnerships read our DJI Enterprise White Paper. Drones are significantly changing how government agencies serve the public. While drones have gained an early foothold in public safety, enterprising government agencies and departments are exploring their use in other areas, from transportation and public works to planning and environmental services. For more information about setting up a drone program and learning about best practices to consider as you evaluate how drones could help meet the needs of your community, download this comprehensive report.